Cami McLaren specializes in coaching attorneys individually and in law firms. Her focus is on improving productivity while attaining and maintaining balance. The legal profession has traditionally been one of high time pressure, heavy workload and low overall life satisfaction. In the past, those who found success practicing law typically did so at considerable personal cost, often forgoing time with spouse and family or sacrificing their health and personal life. Many of today’s younger lawyers are unwilling to make such sacrifices. Many of today’s older lawyers are tired of sacrificing in this way as well. Lawyers sometimes leave the practice of law after realizing it is not a good fit for them – they may enjoy the work, but cannot figure out how to incorporate it into their lives as a whole. There is another way. Coaching provides the paradigm shift necessary to create that new way of practicing. Informed by her own experiences practicing for 16 years, Cami teaches and coaches to improving communication skills, creating more effective and positive relationships and developing better time management skills and productivity. Cami presents workshops on these topics to law firms, bar associations and the public. She has written articles for various legal publications. Her book Coaching for Attorneys: Improving Productivity and Achieving Balance will be published by the ABA in December 2013. Stephanie Finelli earned her J.D. in 1994 from the University of California, Davis School of Law and became a member of the State Bar of California later that year. 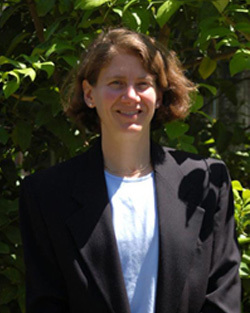 After a one-year fellowship writing amicus briefs to the California and United States Supreme Courts on a variety of criminal constitutional issues, she began working for a small firm practicing in the areas of complex business litigation and legal malpractice. 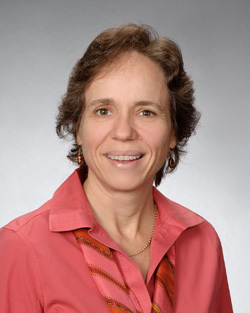 She left in 2003 to form the Law Office of Stephanie J. Finelli, where she practices to this day, focusing primarily on civil litigation and appeals. Stephanie’s contribution to the book was to provide examples and bring a real-world focus to the tools in the book using her own experience as a practitioner in the field for almost 20 years. As such, the book deals with and addresses the challenges and issues that lawyers actually face in the “trenches” of the practice. Cami McLaren is available to speak on any topics in Coaching for Attorneys. Click here for a list of sample workshops (PDF). Call or email to book Cami for your event. This class is directed at attorneys like yourself. It is designed to help you internalize the tools in the book, Coaching for Attorneys: Improving Productivity and Achieving Balance. In this class, you will learn skills to enroll clients, as well as learning strong communication skills, and trust-building skills. It will be hands-on; we will practice enrollment skills – how to sign up new clients! Note that class participants may include partners, associates and sole practitioners, as well as in-house counsel and possibly even paralegals and law clerks. The class is designed to work in a public forum (i.e., with attorneys from different areas, practices, firms, walks of life); or to be brought in-house to be taught to lawyers and even support staff within the firm. This latter option is invaluable in getting all members of the firm “on the same page,” speaking the same language, and using the same tools to support each other and create a shift in firm culture. You will set goals each week and will be held accountable for doing what you promise every week. The style of the class will be partly teaching and partly coaching, facilitated by Certified Performance Coach and author, Cami McLaren. The purpose of this class is to learn tools and be coached to move to the next level in your business, whether that is financial growth, organization, better communication, or excellent employee relations. Only come to this class if you are 100% committed to learn, improve and develop your business, moving to the next level and willing to be accountable to do whatever it takes to get there. I took this class when I was working as an associate at a small firm. The communication and time management sessions were particularly helpful to me in managing my work relationships and my workload. I recall thinking at the time that every attorney who works with clients should take this class to develop relationships based on shared goals and expectations. I also feel that any employer or manager would benefit from the skills and tools that I took away from the class. Holding the class over a period of ten weeks is brilliant. The concepts that I learned in the class are only helpful if I actually use them. By extending the duration of the class, rather than cramming the entire course into a day or two, the concepts were reinforced with every homework assignment, sharing, and in-class exercise. Change is not easy, and changing the way that I communicate is definitely a continuing challenge. I left the small firm and started my own solo practice while taking Cami’s advanced class. I still carry my class notebook around with me to keep the great information and tools at my fingertips. I learned something from my fellow classmates at each session. These courses helped me to move myself and my business forward, and I thank Cami for that gift. 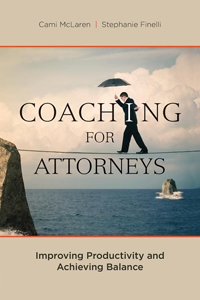 Praise for Coaching for Attorneys!